Lynette ‘Lindy’ Wills is one of Australia’s most accomplished ballerinas, but her 19-year career wasn’t sparked by visions of sugarplums. “I didn’t start ballet with the usual reason, of skipping around wanting to be a fairy,” says Lindy. It was a doctor’s recommendation to start dancing to help correct Lindy’s hip dysplasia and inward rotating feet that prompted her parents to sign her up for classes at age five. “In the beginning I was met with some challenges because of the restrictions and limitations in my right leg,” she recalls. Despite this, Lindy went on to become a principal dancer with The Australian Ballet, touring extensively with the company both here and overseas. She performed many iconic roles, including the Baroness in Swan Lake, Carabosse in Sleeping Beauty and Kitri in Don Quixote. Being able to dance in hundreds of performances a year required discipline, determination and of course, certain sacrifices. After giving birth to her son, Lindy returned to dance four months later, which was no easy feat. “You need strong family support in order to keep dancing, because of the shows being at night and how many you do,” says Lindy. “It has to be really thought out.” It was around this time that The Australian Ballet stepped up their support of dancers wanting to become parents. They implemented a parental leave and family policy that offered longer paid leave periods, more flexible hours with no impact on pay during a pregnancy, and allowance for families to travel together on tour. “My husband took a year off work, which we called his ‘gap-year’, and came on tour with us along with our son,” says Lindy. “Historically you would wait until you thought your career was nearly over and then have your baby and leave, because it was all too hard,” she says. 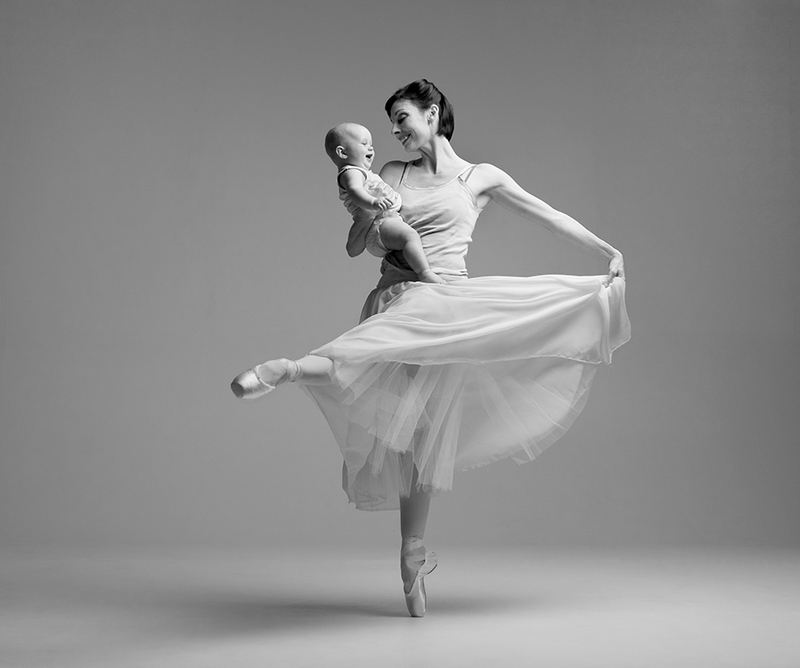 “A lot of support has been put in place for the dancers to be able to come back now and continue on with their career, which is wonderful.” 16 months after the birth of her first child, Lindy had a daughter (Sophie, pictured) and decided it was time to hang up her pointe shoes, retiring at age 39. First published in Audrey Daybook magazine, issue 4, 2018.